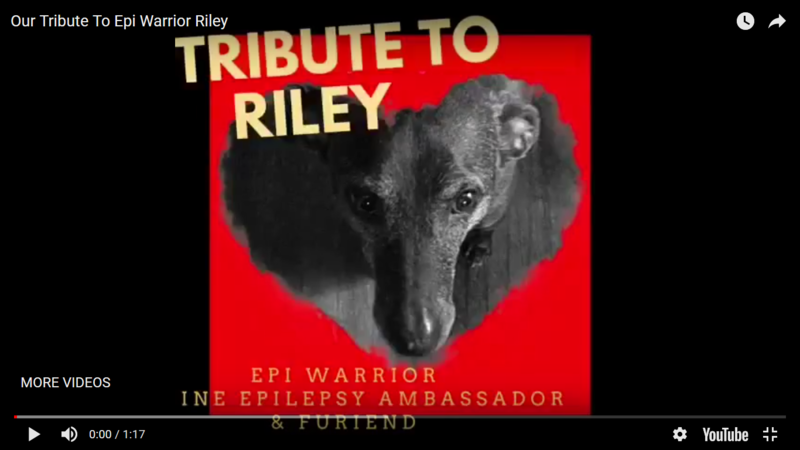 We received sad news yesterday, my BFF & fellow Epi Warrior Riley has crossed the rainbow bridge. I take some solace in knowing that he passed in his sleep, in his mom’s arms & not fighting the monster that is epilepsy. All of us in the canine epilepsy community are heart broken. Our hearts go out to his family. I put together this short tribute for my furriend. I will miss you Riley 💜 I will always remember you & how much you gave to me, my huMom & the epi dog community. It is always so hard to say good-bye to a friend. We are so sorry. I’m sorry for the loss of your friend. Sending loving hugs to you and Riley’s family. Thank you. You captured the best of him. This short humble video is our way of honouring our sweet boy.